Baku emergency medical assistance station released statistics on the snakebites and insect bites. Deputy Chief Physician of the station Ogtay Shahmaliyev said snakes bitten 11 people in June. Nine of them were taken to hospital for treatment. Most of these cases were registered in Garadagh, Hazar and Sabunchu districts of the capital. He also added that insects stung 20 people in Baku last month, and 14 of them were taken to hospital for treatement. 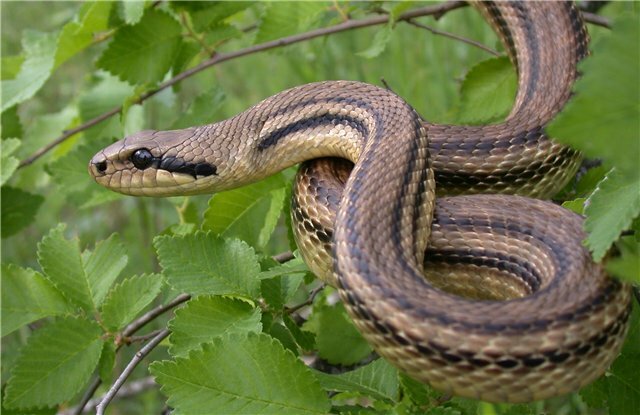 According to Azerbaijan's Interior Ministry, the health centers and institutions did not received any complaint about cases of snake and insects bites. From April 20, more than 20 patients were brought to the Clinical Medical Center for snakebite. Head of the Toxicology Department of the Clinical Medical Center Azer Magsudov announced this news. "The increased aggressiveness of snakes can be explained by the onset of the hot season," he said. Annually, about 2.4 million cases of intoxication (poisoning caused by snakebite), 94,000-125,000 deaths, and about 400,000 cases of amputations and other serious health effects are reported in the world. Poor access to health care and lack of antitoxins increase the severity of injuries and their outcomes. Snakebites mostly occur in Africa and Southeast Asia. The most common species of snakes in Absheron peninsula is the blunt-nosed viper, which is deadly to humans. Its bite can kill a man within 15 minutes. Baku's suburban residents have gotten used to living alongside snakes. They know that it is very difficult to notice snakes in the grass. However, beware! Watch your step, and if you find any snakes, do not try to catch it by yourself.